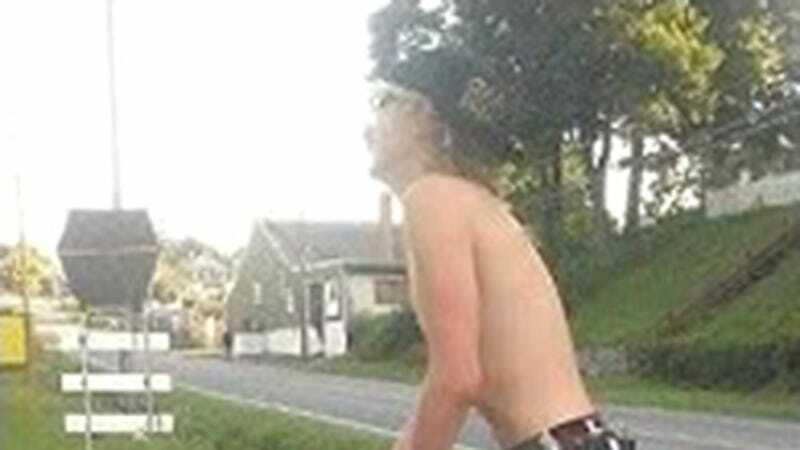 Death and Taxes reports that the Everett, PA teen took pictures of himself giving it to the holy one in late July, but was only recently apprehended after posting pictures of himself on Facebook. How many times do I have to say it, stupid teens? If you're going to take photos of yourself making love to a statue of our lord and saviour, just keep it on your phone and show only those people you are really close to. Or don't show anyone. OR, and this one is crazy, don't take pictures of yourself desecrating religious icons that mean a lot to people. You think you're a huge rebel, but you're really just a douchecanoe without a good creative outlet. Find another hobby. Latch-hooking is nice! According to The Smoking Gun, the teen will face a judge in juvenile court and has been charged with "desecration of a venerated object." That's a misdemeanor, but it's still embarrassing. Or at least it should be embarrassing, because whoever this kid is, he probably needs an object lesson in humility.